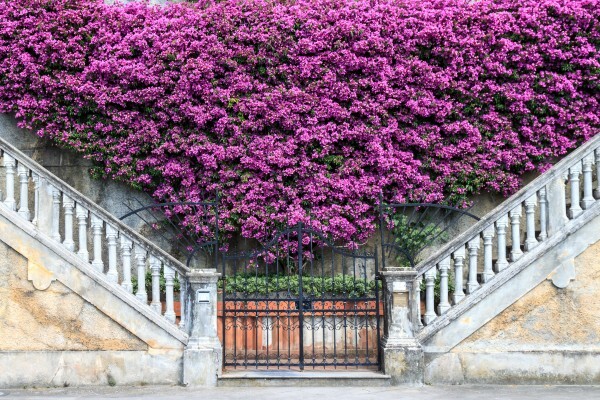 Each new visit to Levanto takes on original colors, as if it were unwilling to reveal itself all at once, to keep surprising those who decide to come back for yet another greeting. The multiple perspectives from which you can get enchanted and the different ways in which you can live the journey to suit your own needs hit me right away. 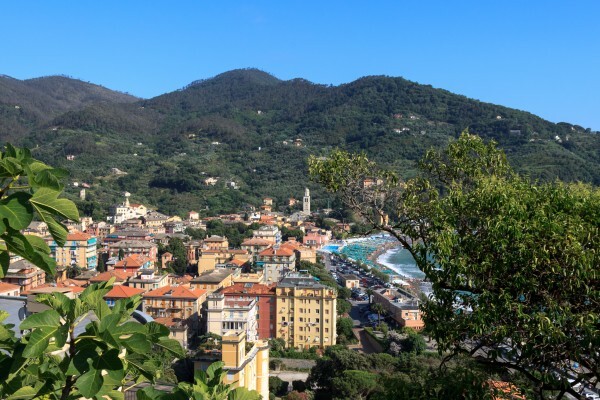 Arriving from the highway, Levanto is like a zephyr nestling in the green surroundings: the sea shines until it reaches the coastline and the houses are a colorful puzzle ready to welcome you. The downtown streets are mostly flat excluding the climb to the church of Sant’Andrea, unmistakable with its bands of black and white stone, and the medieval castle. Among the paths that lead to the sea, the eye rests on workshops from where the smells of focaccia and other delicacies are released making it impossible to go any further without buying at least one piece of this specialty envied around the world. Piazza della Loggia is well worth a short detour though, to admire a medieval loggia – now UNESCO heritage – testifying that in the past the sea level was much higher: here took place the trade on the pier and with a little fantasy you could be able to have the world go back and relive those moments of prosperity. When the sea is rough, the beach of Levanto is a surfer’s paradise, and with calm waters it’s ideal for swimming and sunbathing. I recommend you do a few strokes before turning your gaze to the village: it is an artist’s palette, a riot of life. Beyond the teeming beach you’ll notice the most elegant villas surrounded by well-groomed gardens, resting boats waiting for the next adventure and the beginning of the bike path that runs along the old railway road. Whether with rollers, by bike or walking, the path that goes from Levanto to Bonassola and Framura passes through tunnels and dazzling glimpses of blue. It could be a walk before sunset, or the conclusion of a more comprehensive tour running through the hills. Renting an e-bike then also the steepest climb becomes a challenge for everyone: do try it! 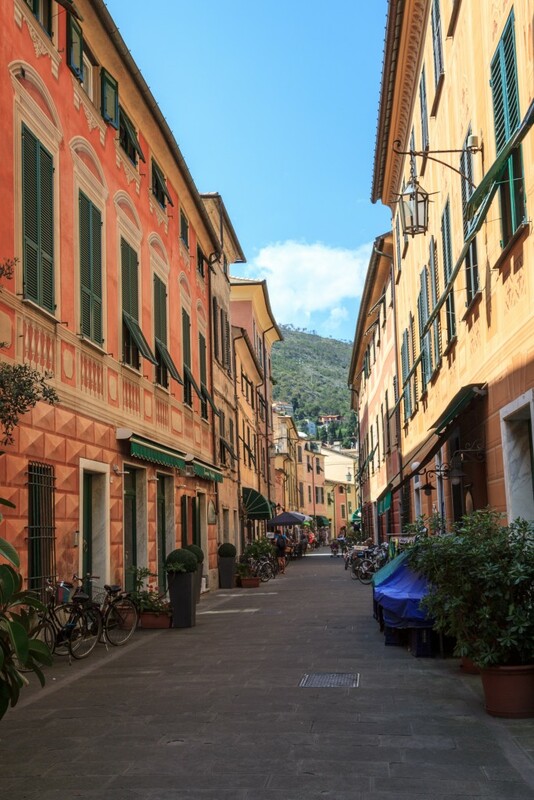 For those who have in mind a more sporty stay, there are also trails running along the hills and connecting Levanto to the Cinque Terre National Park or diving centers or any other water sports option. 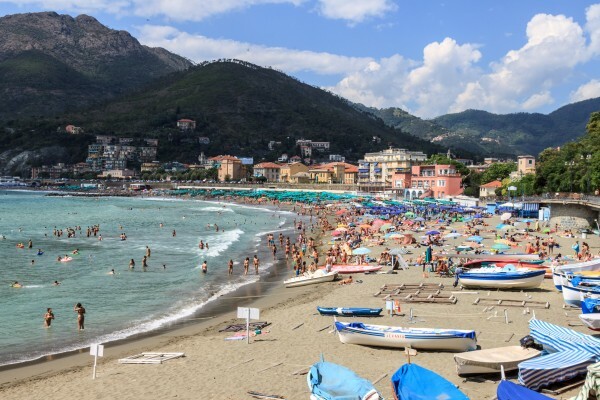 If your idea is to relax, just lay a towel on the beach or embark to the Gulf of Poets, stopping in the different villages full of charm, as Levanto is an excellent base to discover the Cinque Terre. In high season there is a ferry departing twice a day from the pier located at the left end of the beach. The alternative is the train and the station, right next to the village, can be reached with a short walk. And then events, parties, guided walks, opportunities to socialize: Levanto is a seaside place that seems to never stop, so each visits ends with a goodbye.